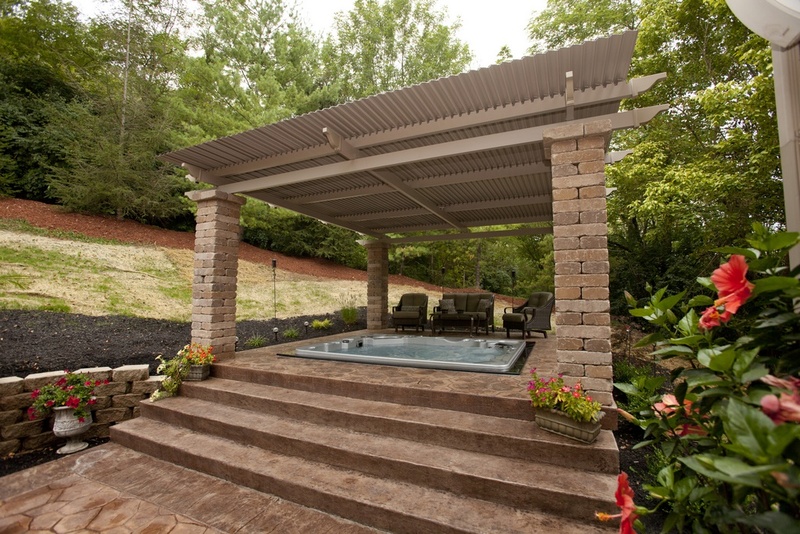 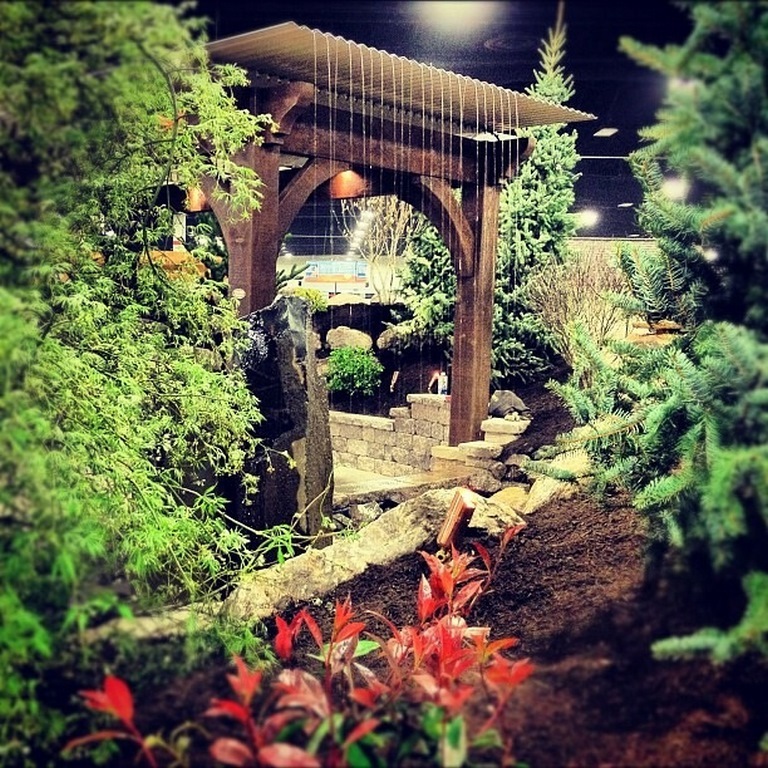 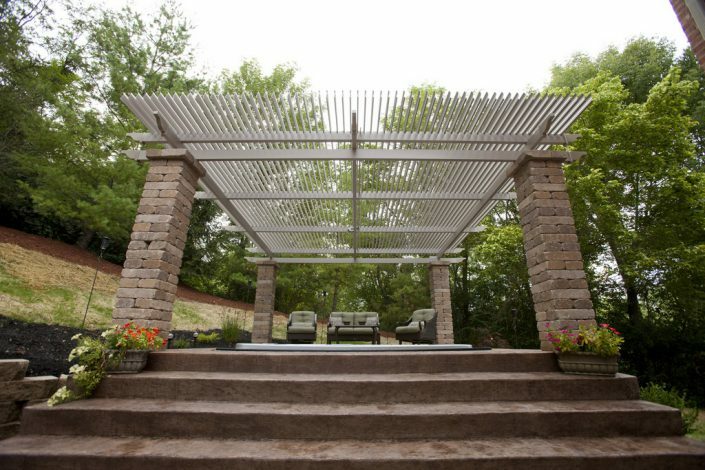 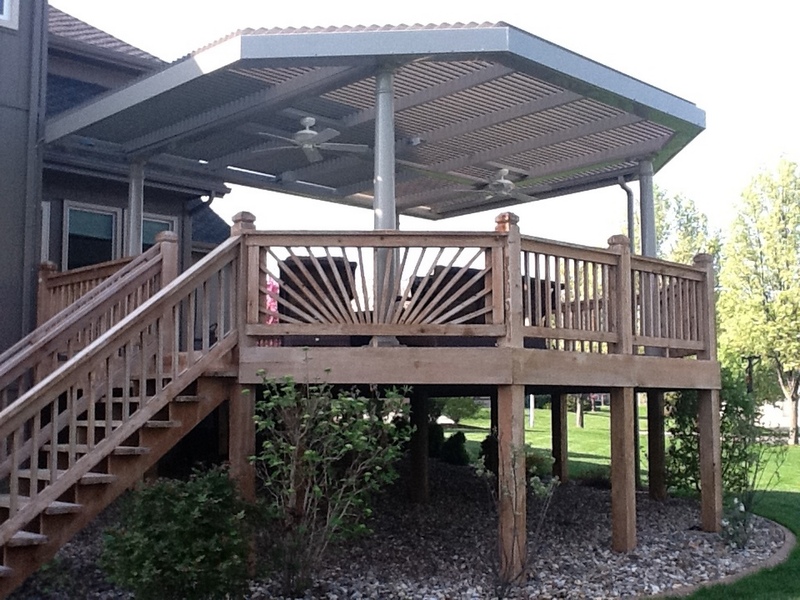 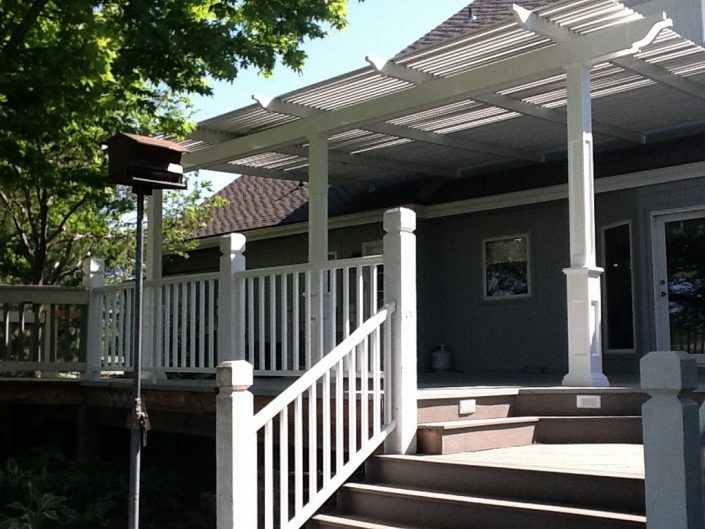 Enjoy Your Deck or Patio More This Summer With a Motorized Pergola! 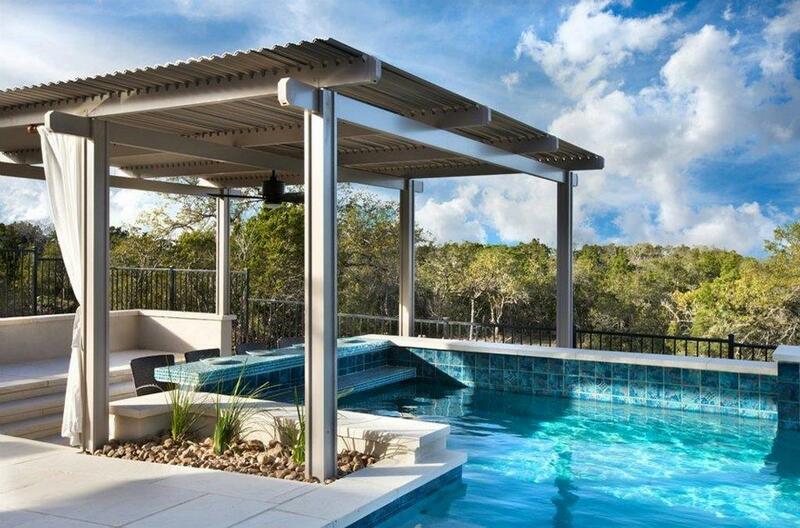 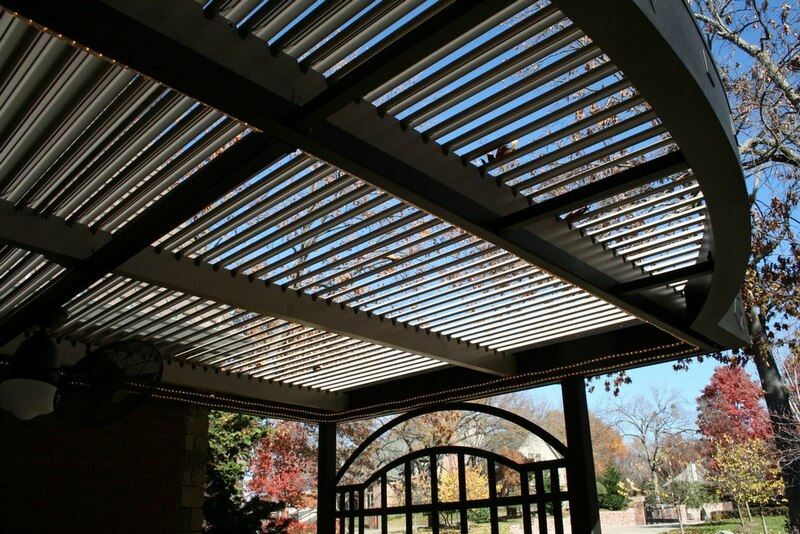 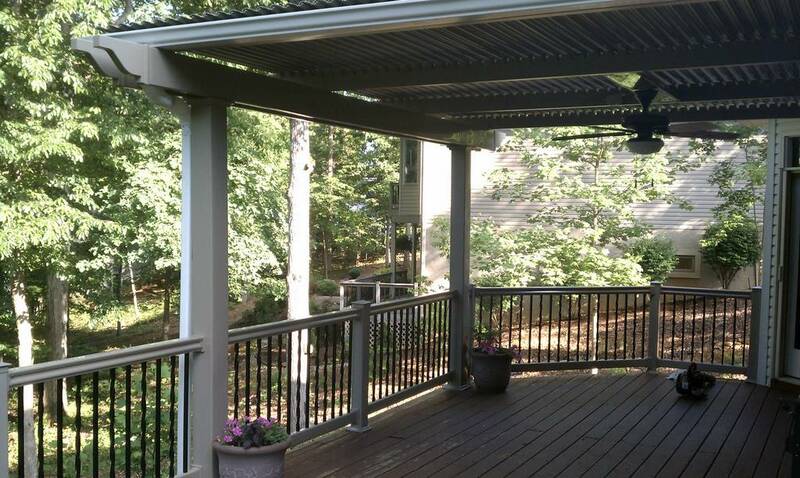 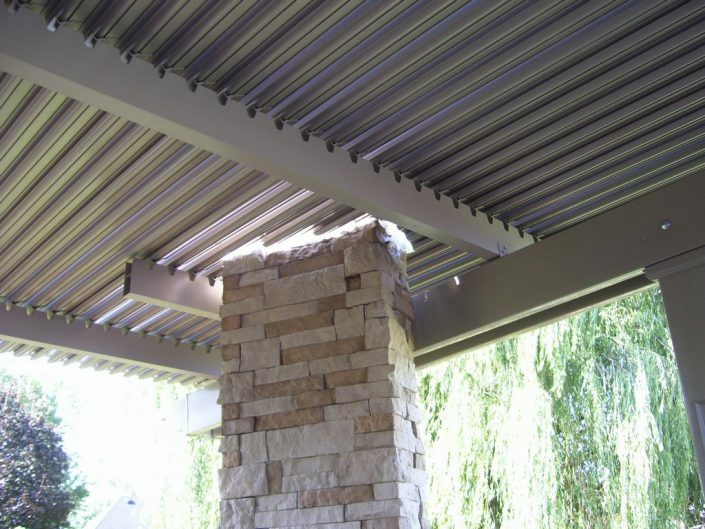 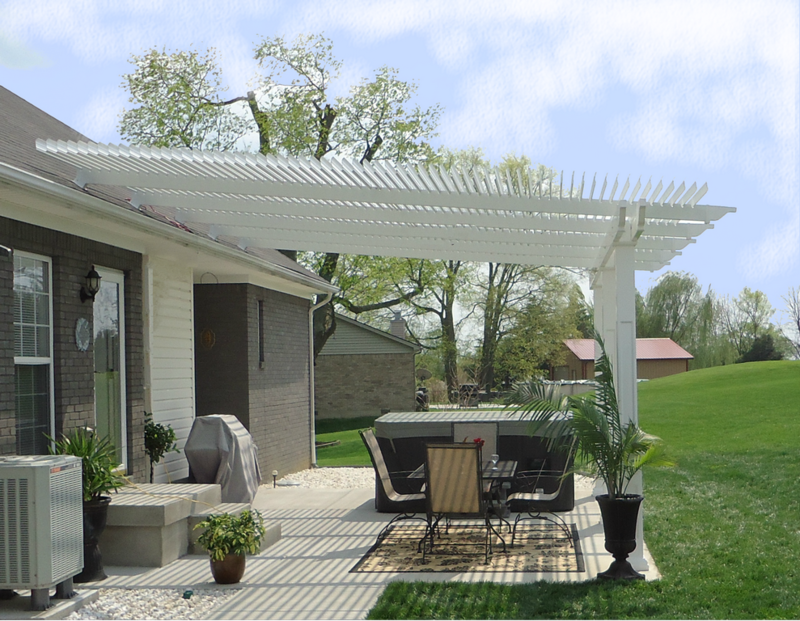 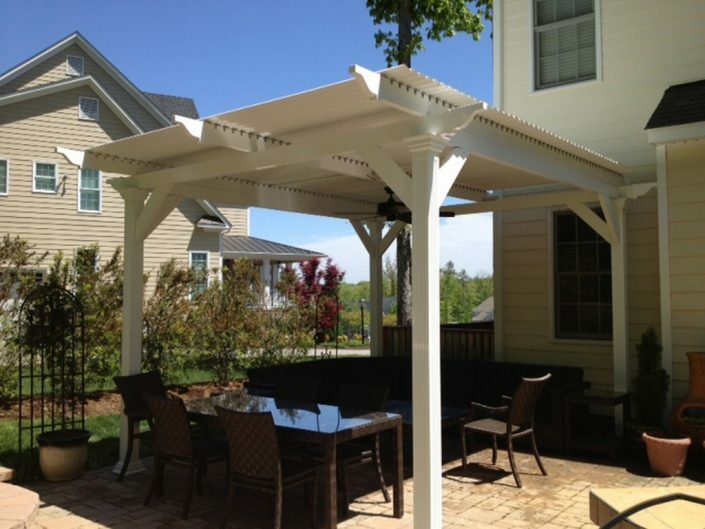 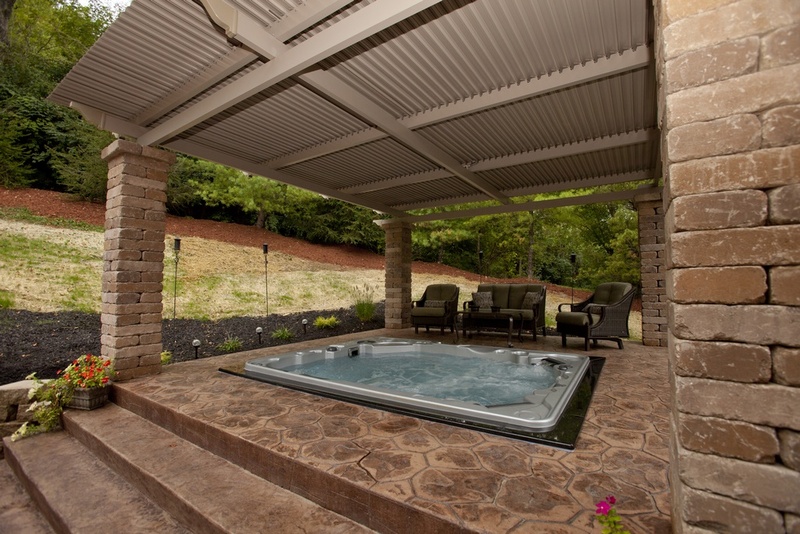 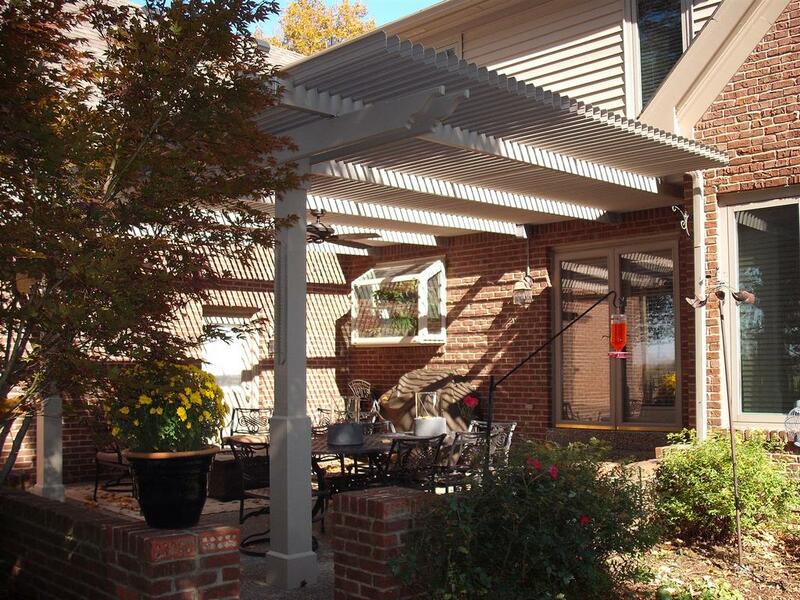 A motorized pergola with louvered roof will extend your indoor living space to a patio or deck. The louvers in the roof rotate up to 120 degrees, allowing you to control the amount of shade and sun with the touch of a button. 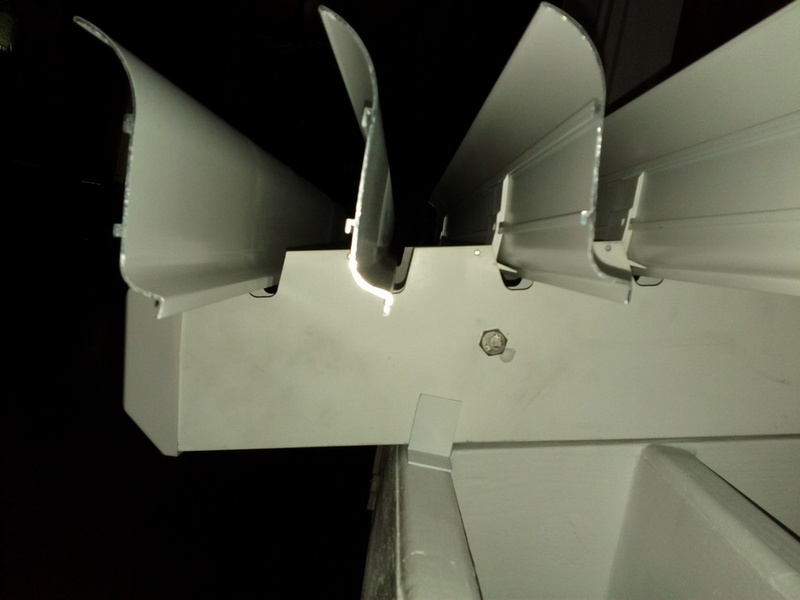 Made from aircraft grade extruded aluminum, they are built to withstand high winds and heavy snow loads. There are 3 stock colors and over 80 custom colors. 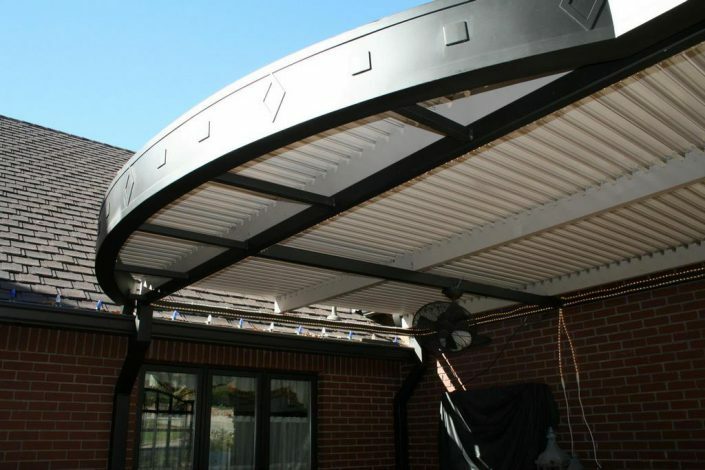 Maintenance free, with several options and add-ons available such as gutter systems, ceiling fans, heaters, lighting, and screens. 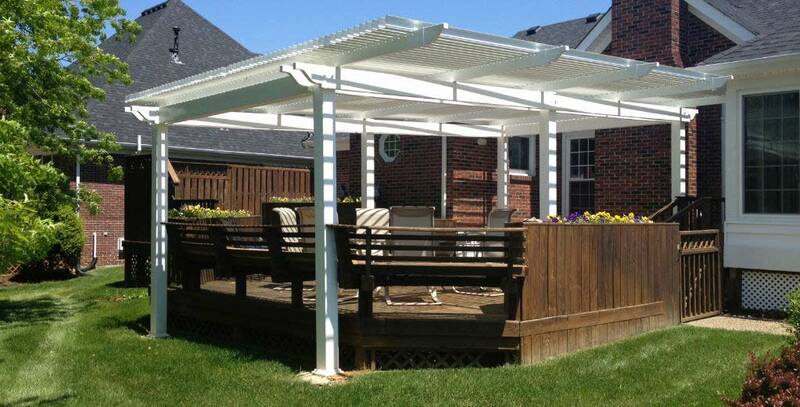 Reduces or eliminates fade on floors and furniture caused by harmful UV rays and rain. 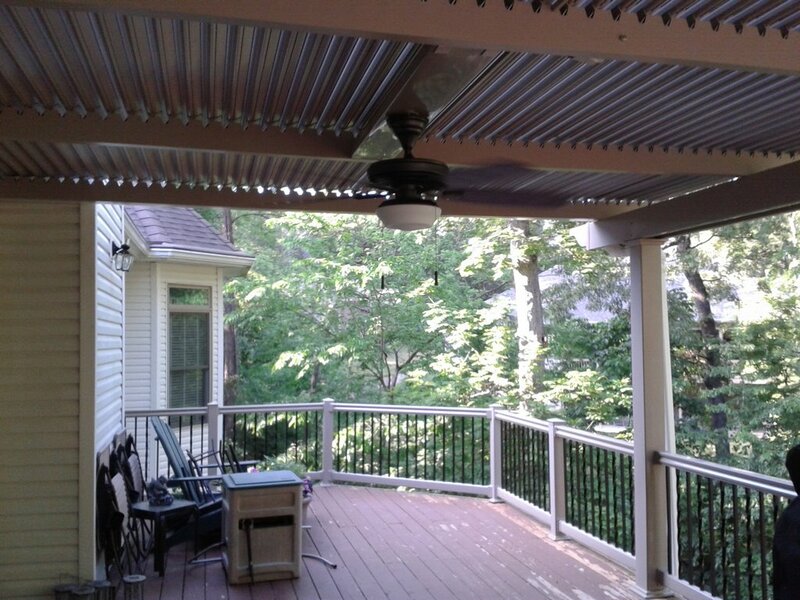 Reduces the temperature of your deck or patio by 15-20 degrees. 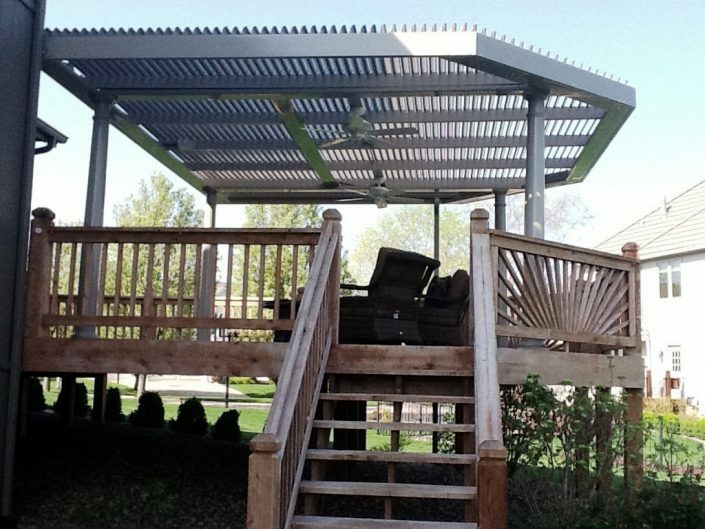 Battery or solar operated motorized units are controlled via remote control. 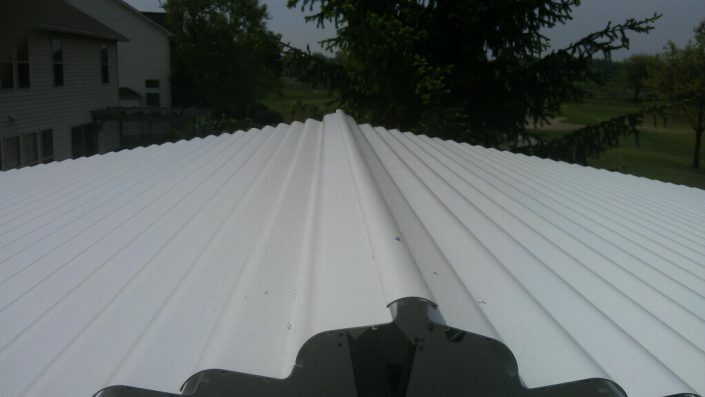 Withstands strong winds and heavy snow loads in winter. Great doing business with Action Awning and I would recommend them my friends. 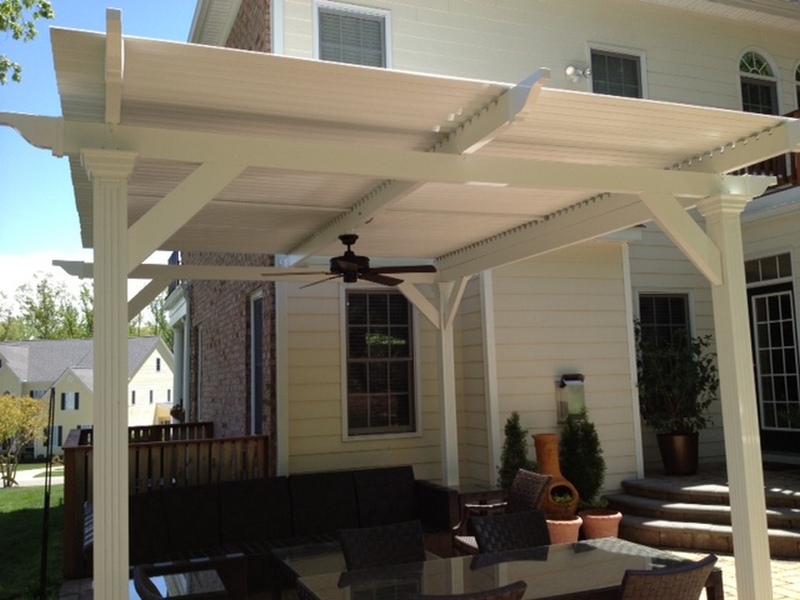 Also, our products were very efficiently installed! 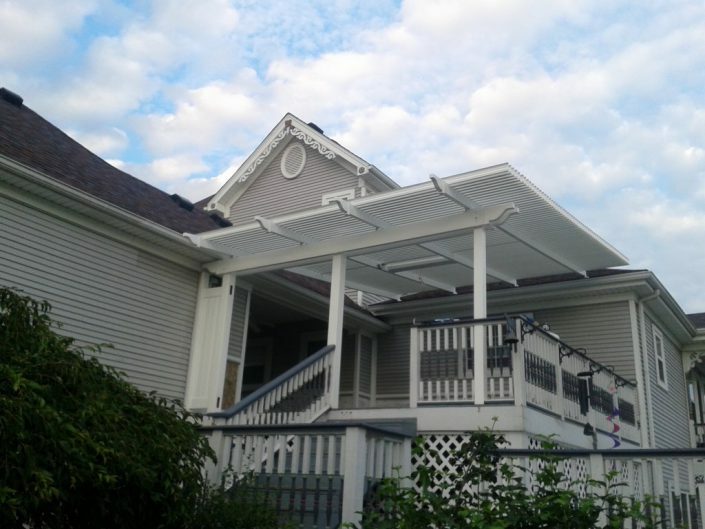 Action Awning was very professional. 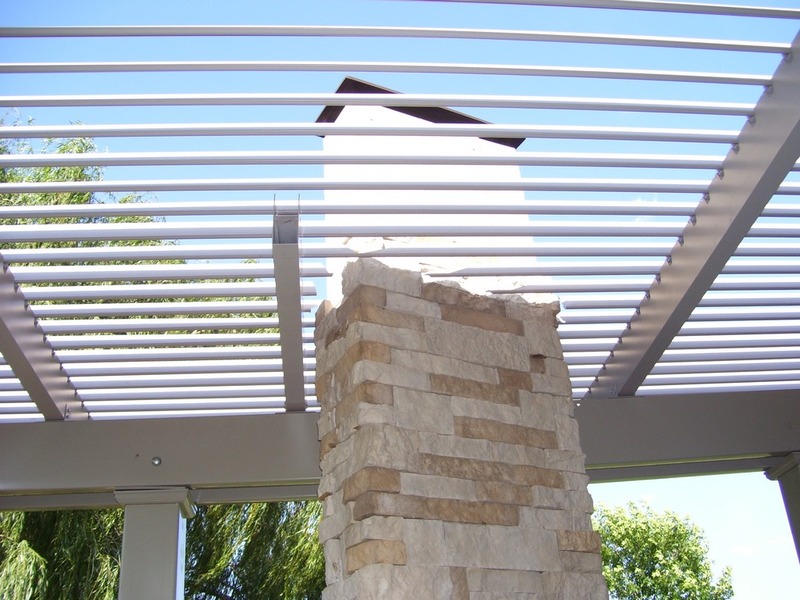 They put our product up in a timely manner and with no cleanup on our part. 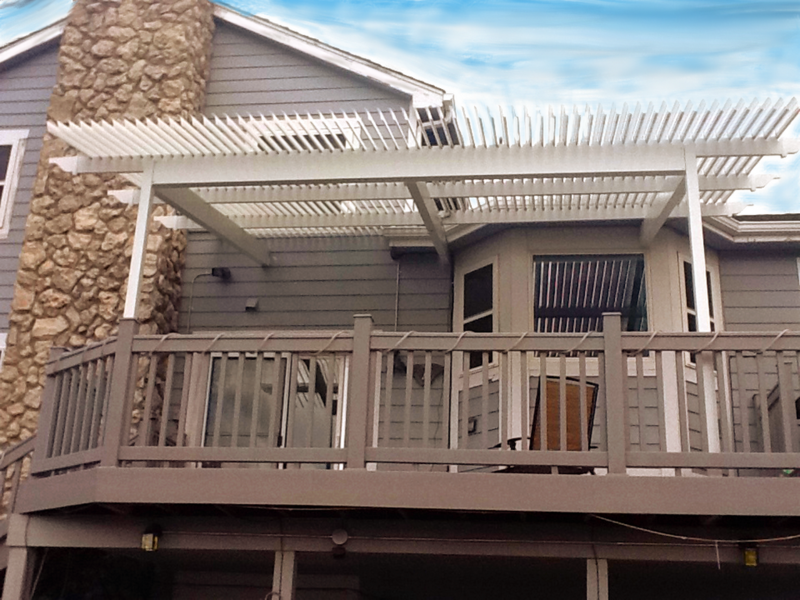 I can say doing business with Action Awning has been a great experience. 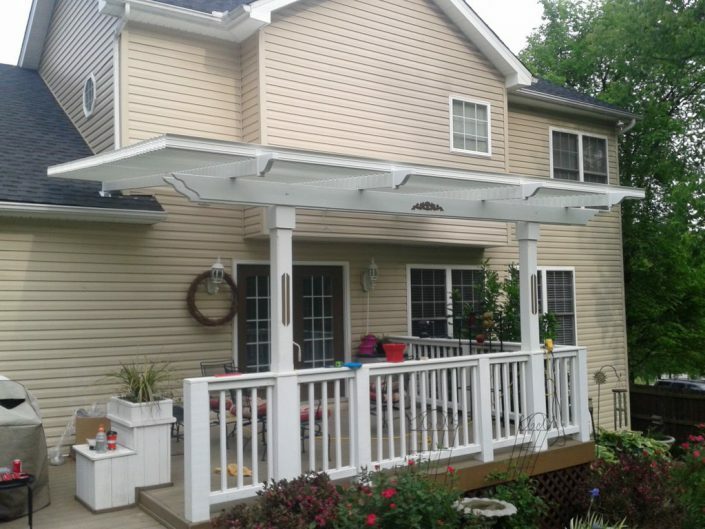 Through the entire process, we could not be happier. We recommend Action Awning as your first choice.